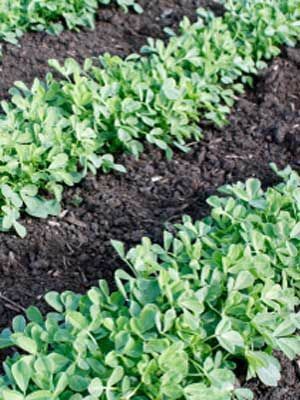 Sow fenugreek from late summer to autumn, whenever a bed will be unused for more than eight weeks. Direct seed into cultivated soil so that the seeds are about 5 cm (2in) apart and 1 cm (1/2in) deep. Thin to 15 cm (6in) apart in all directions.